Saddle: On Fokkstumyra between Dombås and Hjerkinn. Highest in Rondane National Park, Norway. How to get there: The best access is from Mysusæter. This place has an access road (open all year) from Hwy. E-6, just south of the main intersection with the Hwy. going up the Otta valley. Coming from the south (Oslo) take the road that goes uphill to the right (there is a sign reading Mysusæter), just before Otta. From the north, pass the Otta exit on E-6, then turn sharply left and proceed up the hill. In winter, you may have to park at Mysusæter. In summer, pay toll (NOK 10 in 2003) and proceed to the parking area just outside of the National Park boundary. This parking area has coordinates N 61:50.093, E 009:43.864, and an elevation of about 1080 meter. In summer, a small dirt road leads all the way to the DNT hut Rondvassbu. In winter one will ski a bit further north (in the lower part of the valley). Route description: From the hut Rondvassbu, proceed steeply up the hill behind the hut. 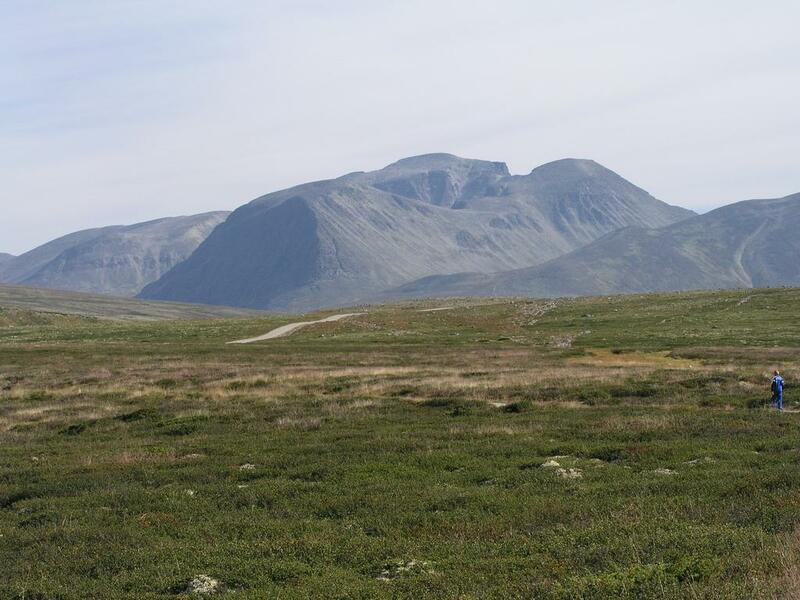 The Storeronden mountain (2138m) is sloping directly up to the east, the trail to Rondeslottet and Storeronden starts out as one, it forks on a small crest higher up. The Rondeslottet trail descends a little into the valley to the left, while the trail to Storeronden continues up the ridge. The route now heads into and to the end of the valley between Vinjeronden and Storeronden. There, it climbs the saddle that separates these two peaks. 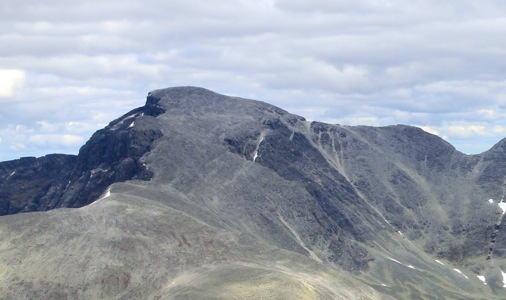 From this saddle (at elevation about 1760 meter), the route continues more steeply up the ridge to the summit of Vinjeronden (2044m). From Vinjeronden, descend first gently subsequently a bit steeper to the low saddle separating it from Rondeslottet (1940 m). The ascent from this saddle starts out quite steeply among large boulders, but then eases off and reaches a nice ridge with flat rocks. 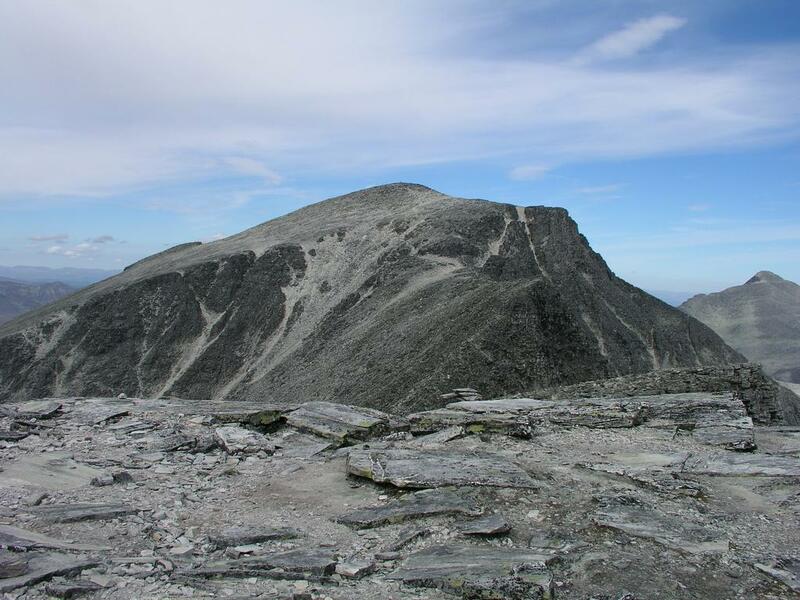 Beyond this ridge the trail heads more uphill before reaching the very impressive cairn on the summit, the highest point in Rondane and east of the Gudbrandsdalen valley. One can traverse this mountain, but then preferably in order to reach another mountain hut. Otherwise, return the way you climbed. 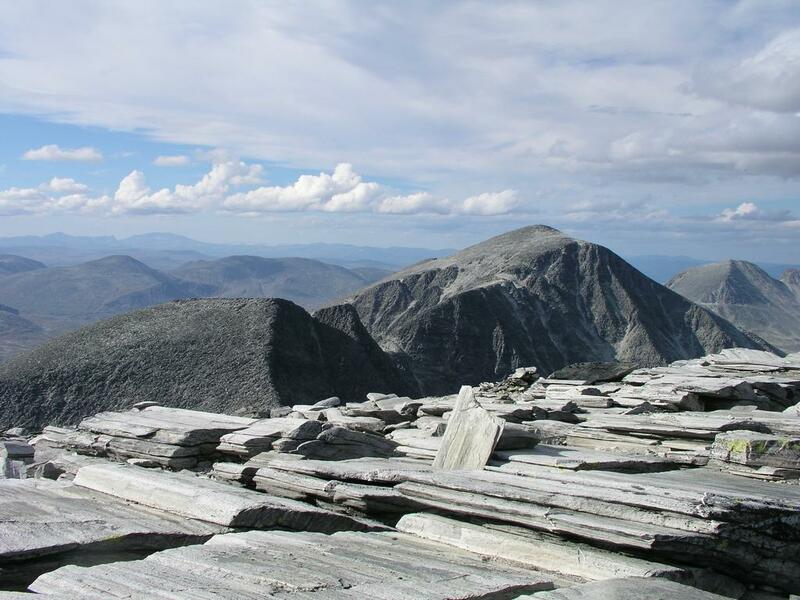 A nice variation is to also climb the second highest peak, Storronden (2138m), on the way back to Rondvassbu. See a separate description of this route. 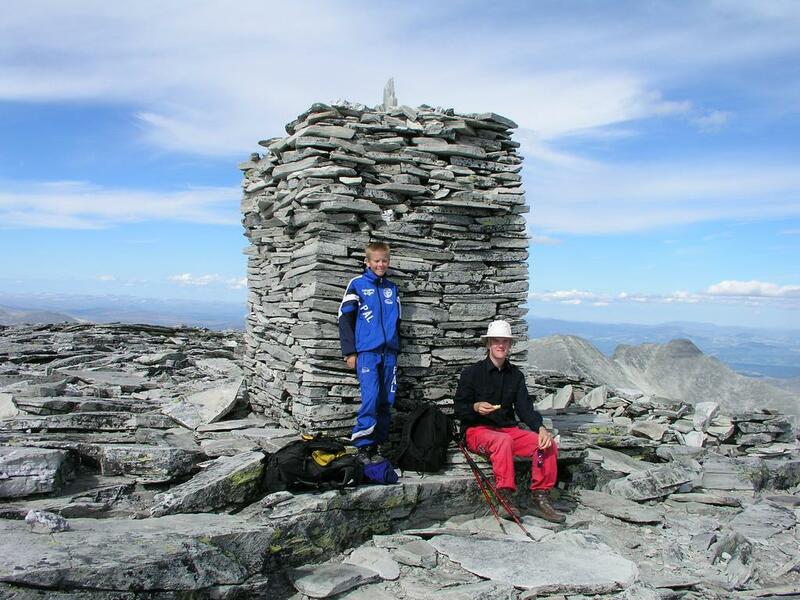 Comments: I did this climb with my sons Tor Erling, age 21 and Pål Jørgen, age 14. We had very good weather on the summit and truly enjoyed the panorama view. Rondeslottet as you hike to the Rondvassbu hut. Vinjeronden is the peak to the right. Rondeslottet, as seen from Vinjeronden. Pål Jørgen and Tor Erling on the summit of Rondeslottet. Vinjeronden and Rondeslottet, as seen from Storronden.